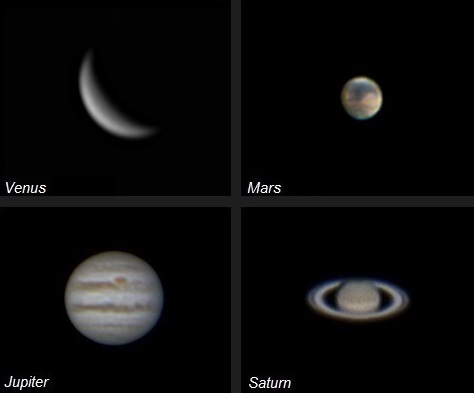 The major planets will show considerable detail, especially with the 20″ refractor. While not like looking at Hubble photos, there is something fascinating, and a sense of discovery, when seeing a “live” image. These photos were taken with a member’s telescope that is often set up outside the observatory during public events. Visibility of the planets varies throughout the year.